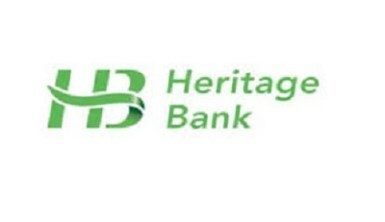 Heritage Bank Limited is looking for a more robust financial year by not ruling out injection of fresh capital from investors. Mr Ifie Sekibo,the Managing Director/Chief Executive Officer of Heritage Bank, stated this in Lagos at the Vanguard Economic Submit, organised by Vanguard Newspapers in Lagos. This, according to him, would boost the bank’s capital and support it drive to intervene in the real sector of the economy. Sekibo, however, declined to disclose the identity of the investors as well as when the funds would get to the financial institution. The theme of the Vanguard Economic Submit is Human Capital Index versus Economic Growth, Nigeria’s policy options. The discourse was informed by the recent World Bank Group ranking of Nigeria 152 out of 157 countries on its first-ever Human Capital Index. Also, the Brookings Institution said Nigeria had overtaken India as the nation with the highest number of extremely poor people. The report showed that about 87 million Nigerians are in extreme poverty, with six Nigerians falling into extreme poverty every minute. The discourse was therefore, organised for economic experts to proffer solutions to the problems confronting the economy such that government would be able align the nation’s economic with that of human capital development. 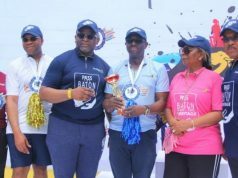 Managing Director/Chief Executive Officer of Heritage Bank, said they decided to partner with the organisers to achieve inclusive growth in the economy. Sekibo, who was also one of the discussants at the event noted that there was need to deal with the energy problem confronting the country because it accounted for about 35 per cent of overheads of banks. Also speaking as a discussant, Mr. Muda Yusuf,Director-General of Lagos Chamber of Commerce and Industry (LCCI) said because of inadequate resources available to the Federal Government to adequately fund human capital development vis-à-vis economic development, government should grant complete tax holiday to private operators in the educational and health sectors to enable them to complement the efforts of government.